Made only from hand selected knotty pine to give a unique look. Weight limit = 700 lbs, We only use rust resistant hardware on our swings. 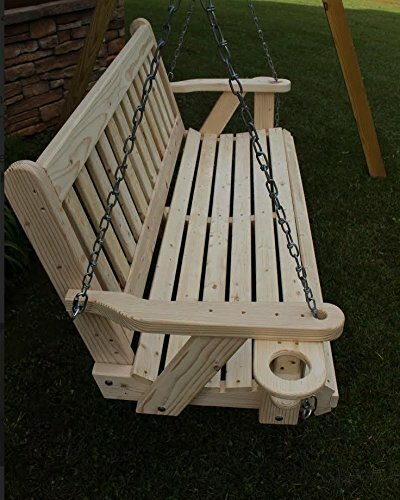 All swings are 100% handcrafted. 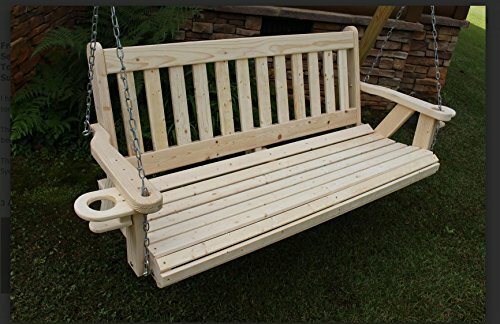 Swing dimensions: 63.5W x 28D x 24.5H in. 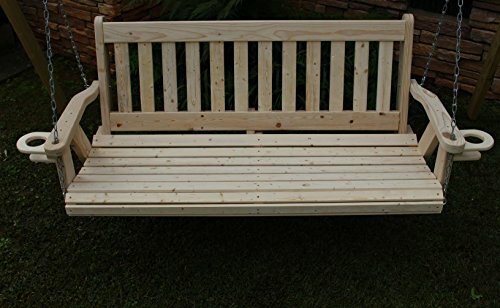 Seat dimensions: 57W x 19D x 23H in.